Unlike slip lanes, a dedicated turn channel is designed specifically for transit vehicles, and can be designated exclusively for their use, preventing excessive vehicle speeds. 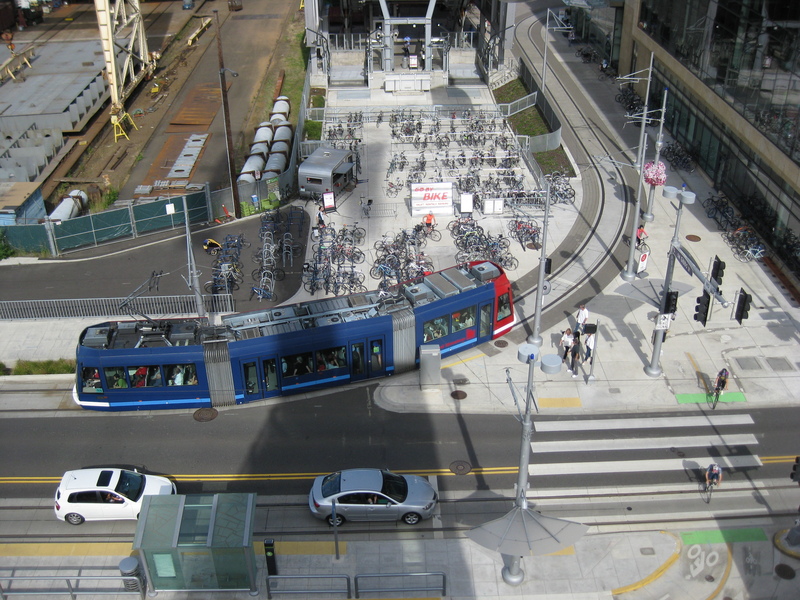 Where frequent transit routes make regular right turns (or left turns from one-way streets), rail turns on small streets, and where width is available. Entrances to on- or off-street terminals. The turn channel should be designed to accommodate smooth, low-speed turns by the transit vehicles that use it regularly. Especially for bus channels, overly wide channels encourage unsafe speeds and may invite unauthorized users. If used by general traffic, the turn channel should have the tightest turn angle that is able to accommodate transit vehicles—tighter angles slow traffic speeds, but improve sightlines and pedestrian crossing safety. James M Daisa & Brian S Bochner. 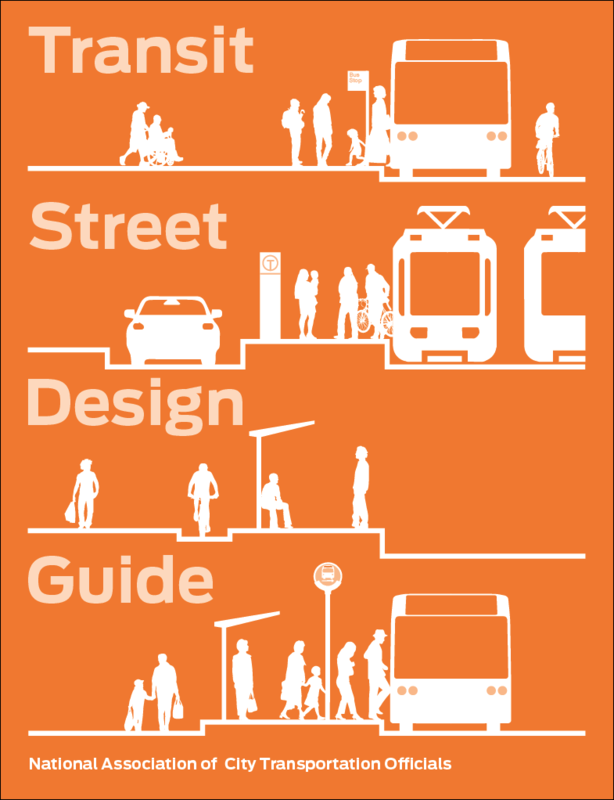 Design Walkable Urban Thoroughfares: A Context Sensitive Approach. Institute of Transportation Engineers & Congress for New Urbanism, Washington, DC: 2010. 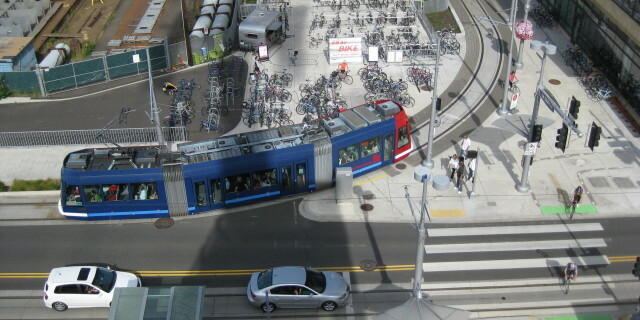 Apply red color to designate the space as a transit-only area. If the turn can be made only during a specific phase, install transit signals at the approach to the channel. If designed for buses and permitting mixed traffic, the dedicated turn channel should rise to meet a crosswalk at a grade consistent with bus operations at the speed for which the curve has been designed. For long transit vehicles, the turn can begin in a channel and be completed in the second lane of the receiving street, reducing the corner radius needed for the channel. Install signage prohibiting general motor vehicle traffic, such as BUSES ONLY or STREETCARS ONLY signage, at the entrance to the channel.